It was another lazy day. The sun shone brilliantly & the water in the hotel pool glittered invitingly. 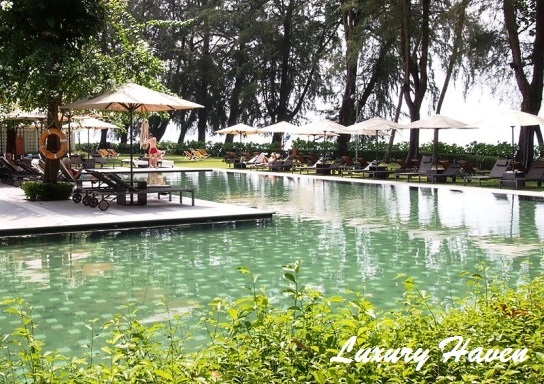 Bringing the ocean nearer to you, is Lone Pine Hotel Penang’s Infinity Salt Water Pool! After our tour to experience some of the Enchanting Rooms At Lone Pine, our afternoon siesta was spent at the hotel’s idyllic sanctuary as we set off to their enticing Salt Water Pool in high spirits. The sun was a tyrant, & we were perspiring profusely to the extent that there was a stinging sensation on our skin. We couldn’t wait to jump into the pool. 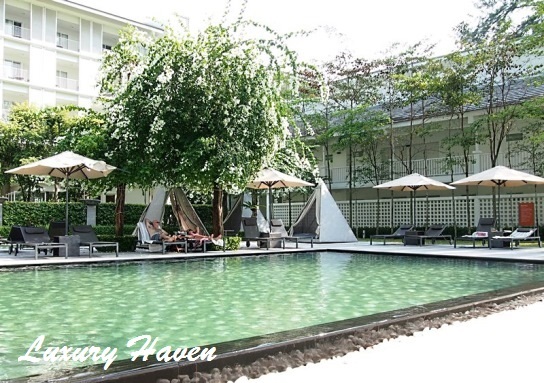 With views of the hotel’s pool & lush lawn, the scene is tranquil & unspoiled with generous outdoor space. The leaves rustled gently with the occasionally breeze. 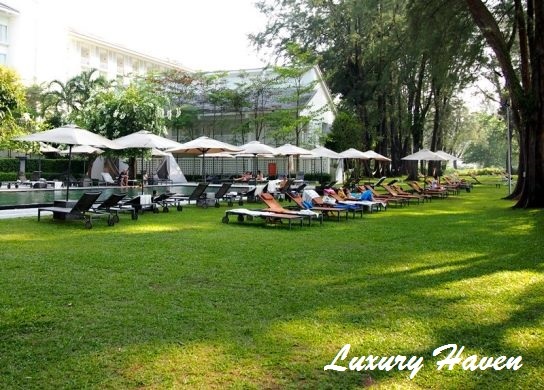 The rows of sun lounges with parasols, standing on the surrounding lawn, make the place such a picturesque sight. The poolside also provides a relaxing setting for sunbathing along with delightful cocktails. My family had fun spending our afternoon soaking in the soothing sound of lapping water at the jacuzzi & bright sunny rays of this tropical paradise. Have a splashing good time at Lone Pine Hotel's pristine Salt Water Pool, or take refuge under their shady #Casuarina trees. 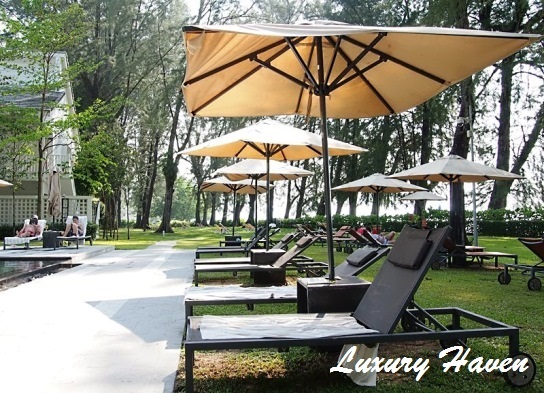 This summer retreat at one of Penang’s legendary hotels is certainly the most intimate & rejuvenating family vacation. 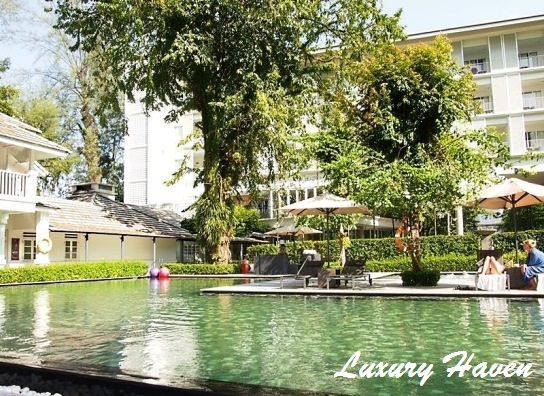 Lone Pine Hotel Penang, the best kept secret! After recharging our ourselves at the pool, a sumptuous dinner treat had been arranged for us! So Let’s Go Japanese At Matsu, Batu Ferringhi Penang! Stella, perfect for family bonding! The pool is definitely very inviting especially under the current hot weather. I supposed this is your most refreshing activity in your Penang trip. Looks like another beautiful hotel, so jealous of your travels! The infinity pool look good! Must certainly include Lone Pine on my list to stay! missyblurkit, discover this paradise yourself...... u'll love it! 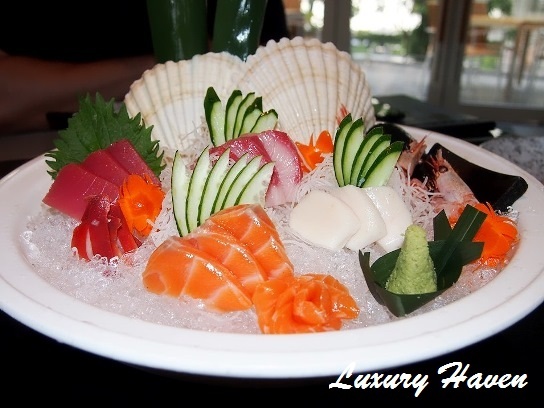 Wow....that looks like a most relaxing time.....in the pool and also that most beautiful and mouth-watering Japanese dish. Now I'm drooling and also dreaming....haha. I just miss the sun. I'm still in several layers here....so windy and so cold today. I love family vacation. It's really wonderful to see your family so relaxed and happy. Makes me smile :D Btw, I really miss Penang.....so many fond memories. Mary, I can imagine the coldness over there. Lol! I love family shots too, dear! See u at Candy Crush!! Awww, it looks so relaxing under one of those outdoor umbrellas on a chaise lounger by the pool. I work for a company that sells that type of outdoor resort furniture but I never get to enjoy it myself, haha! The low side tables with the umbrella holes are really unique and caught my attention. The pool area does look luxurious! Hope you enjoy your stay! Mimi, that's so cool! Thks for coming by & love having u here! Mimi, thks again & have a wonderful weekend! Hong, cool! Thks for sharing your thoughts with us & enjoy your weekend! Pepper, thks & have a wonderful week!